In the next few hours, people will start seeing BBM in Google Play, the App Store and in select Samsung App Stores – where it will be free to download. 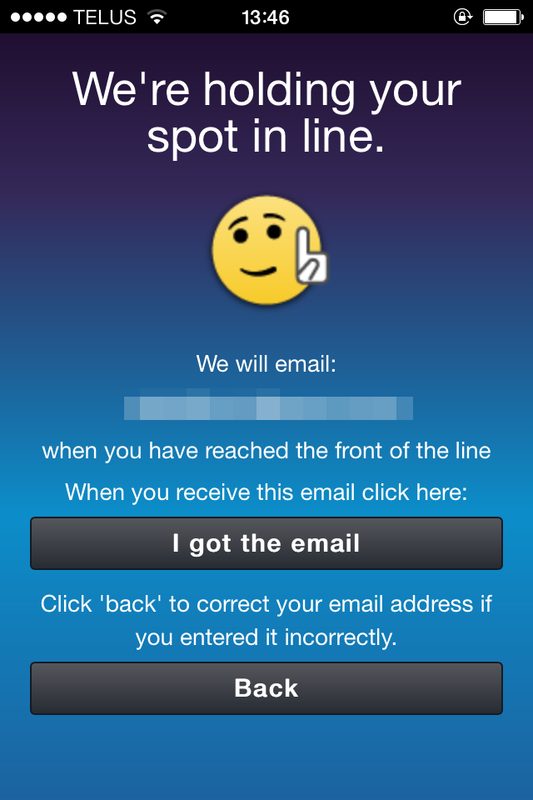 If you download the app, you’re greeted not with setup instructions, but a box for you to type your email address, because there’s a waiting list. BlackBerry claims this is due to high demand, but they also claim they’ve reached about two million Android and iOS BBM users. The waiting list screen shows an app which lacks retina-ready images and full iOS 7 compatibility in its status bar, which is odd for a company which brags that “amateur hour is over”. Given that there are twenty-one other SMS-replacement apps available, is there a market for people who absolutely require this SMS-replacement service?